The family of a cyclist killed in a road crash have told how he was "at his happiest being outdoors". 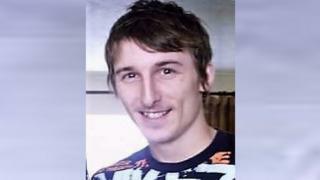 Ben Greenslade, 30, died after a collision with a van on the A127 near Wickford on Sunday. The cyclist, from Chadwell Heath, had been riding towards Southend when he was struck at about 08:00 BST. A 42-year-old man from Tonbridge, Kent, arrested on suspicion of causing death by dangerous driving has since been released under investigation. In a statement, Ben's family said they had been left "heartbroken" by the death of "a wonderful son, a wonderful brother and a wonderful man". "Words can't describe how much Ben was loved by everyone who knew him," the statement said. "He was extremely athletic, loved to cycle and was at his happiest being outdoors." Anyone who witnessed the accident or has dashcam footage has been asked to contact Essex Police.